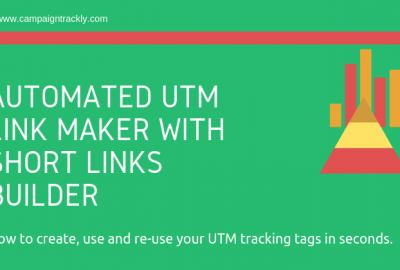 Let our interactive wizard create all your UTM tags & tracking URLs for you. Tag 1, 10 or 100 links in one go. 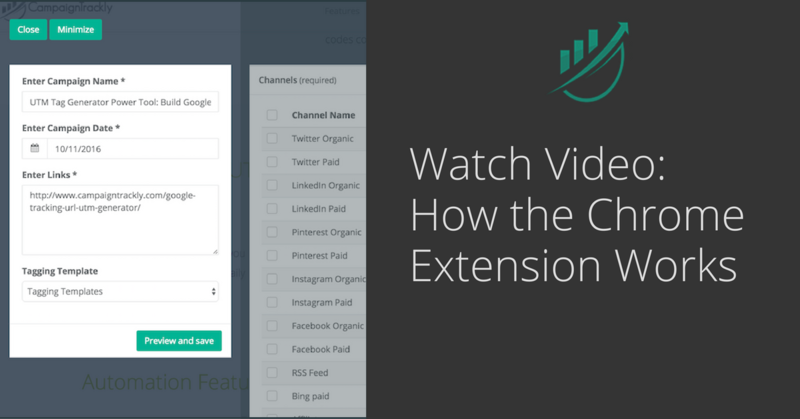 Bit.ly & export multiple URLs with a push of a button. No more manual work. No HTML or UTM codes confusion. 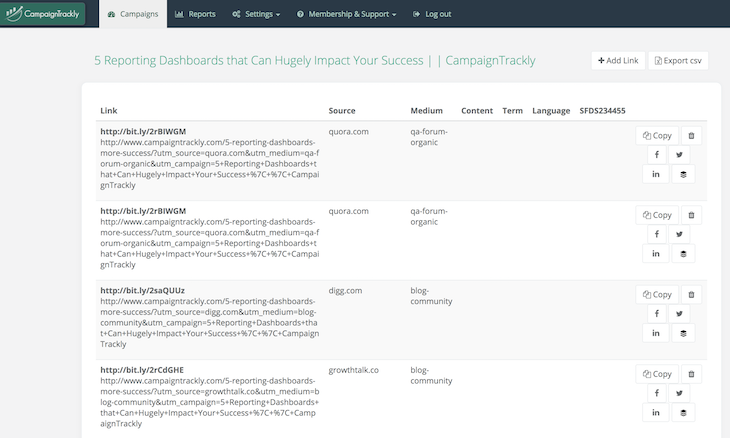 View campaign data in CampaignTrackly – no need to login to GA analytics every single time. Our five-star UTM Builder can shorten your links as they get generated so you don’t need to do extra work. 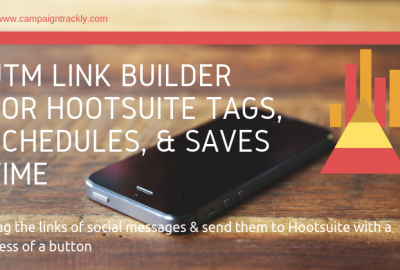 You can tag, build and use UTM links without the need to go back to our website. Drive-test most of our features. You can always upgrade to a paid plan later if you want. Use our pre-saved examples as a starting point when building your standard UTM tags library. 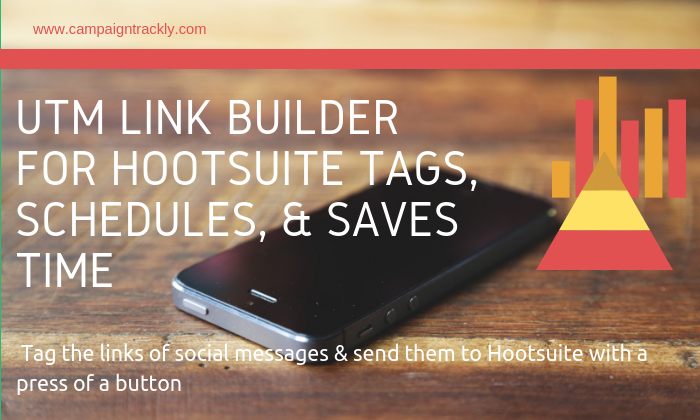 Add, delete, and use pre-saved tags in seconds. 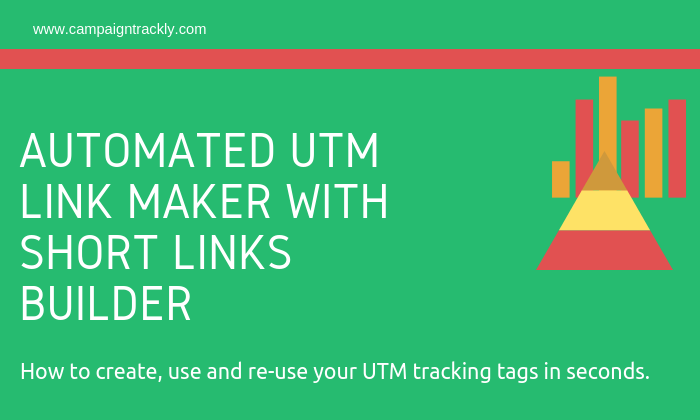 Create, pre-save, and re-use as many custom tags as you need with our handy UTM generator. 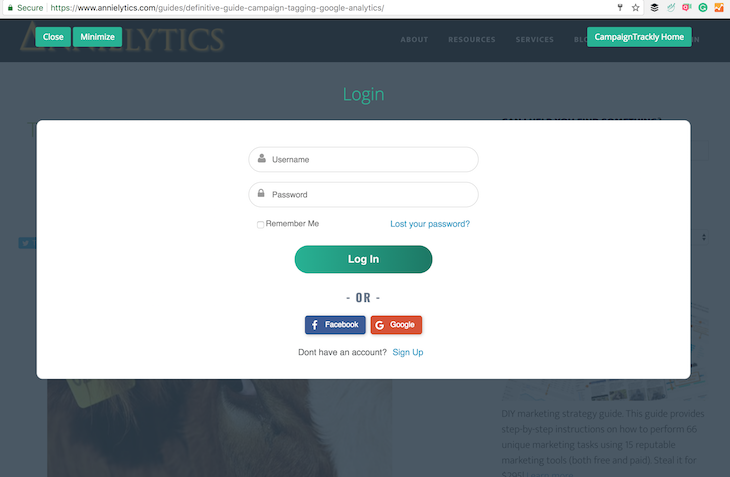 Integrate them with the standard Google Analytics ones with a click of a button. Process multiple tags and tracking URL links in one go. 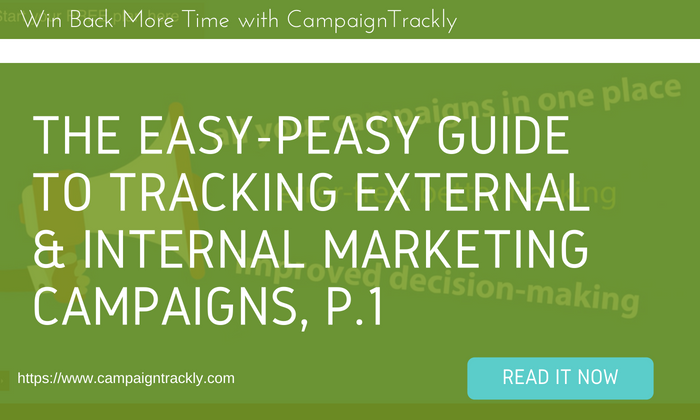 Export all your tagged campaign data in user-friendly format for easy sharing and management. 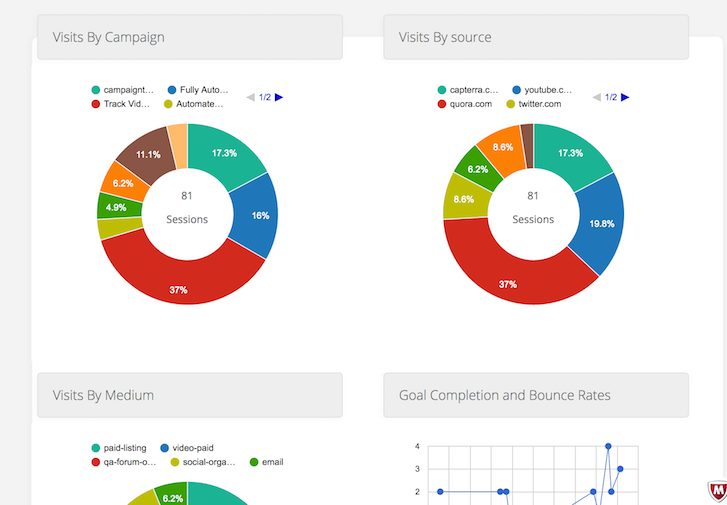 User-friendly step-by-step Google Analytics URL Builder wizard does all the work for you. No prior tagging or HTML knowledge needed. 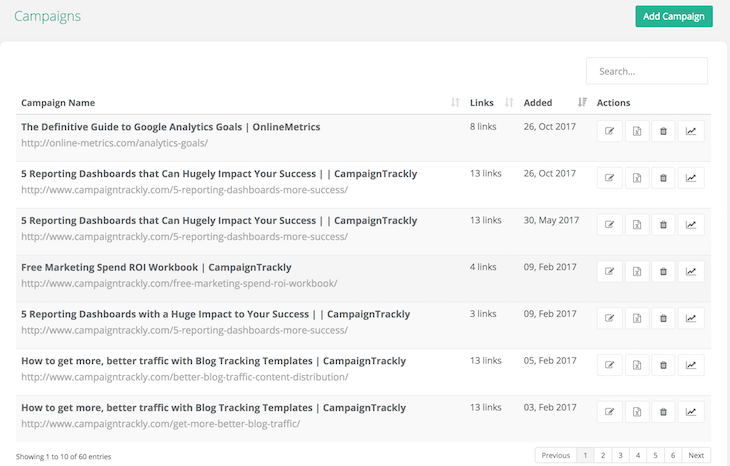 Flexible Chrome Extension enables you to use the link builder on any page without the need to visit campaigntrackly.com. 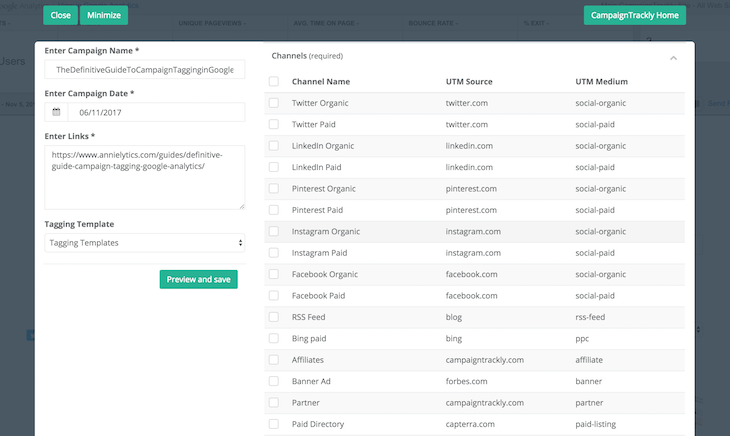 Auto-connection with Bitly enables tracking URLs to be auto-generated and shortened automatically – no extra clicks or actions needed. Get started today. 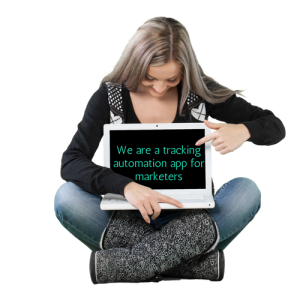 Automate your campaign tracking process and improve the quality of your insights, so you will never under-report your hard work. 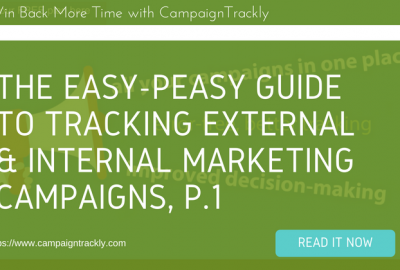 Instantly access your full campaign history and assets. Maintain a centralized database that automatically saves all your campaigns, tags, and URLs and can be accessed at any time from anywhere. 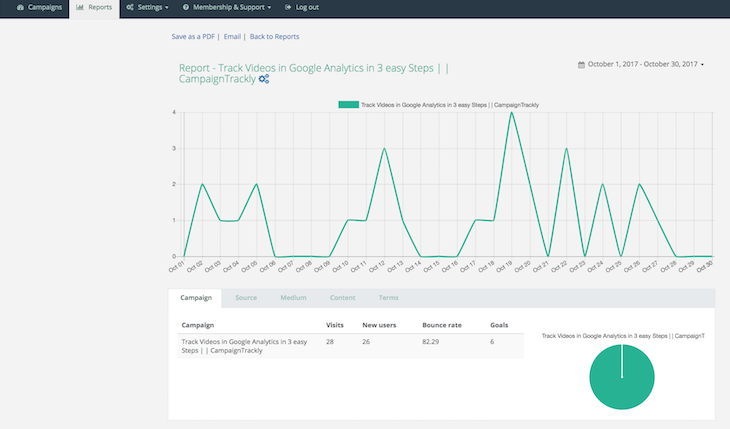 Get instant visibility to campaign performance with your automated access to Google Analytics campaign data. 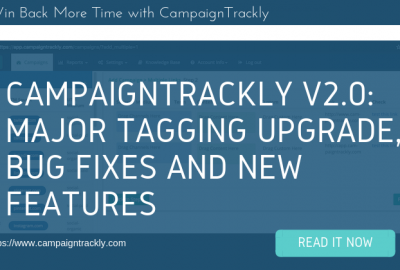 View in seconds how a campaign is performing across channels – sort through dates, names, UTM tags, and conversions in one screen. 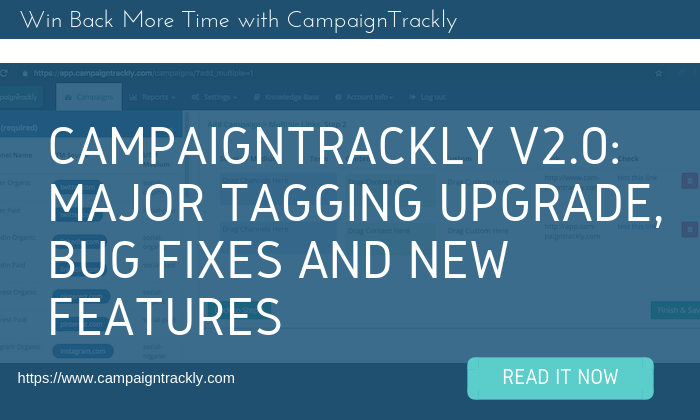 Effortlessly standardize the use of tag and campaign naming conventions to eliminate errors and under-reporting. 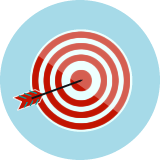 Get higher ROI on your marketing by shrinking campaign production cycle and making better budget spend decisions.